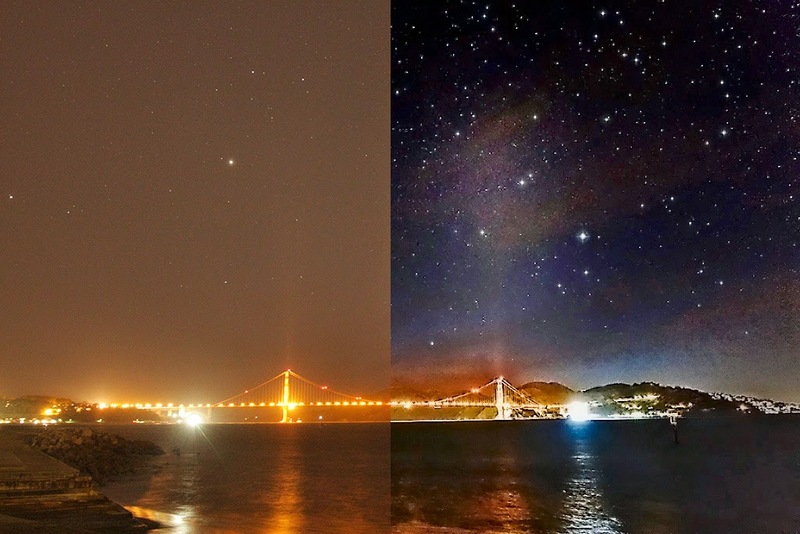 We often here about air, water and land pollution, but we rarely here about light pollution. All the artificial light that humanity creates comes under light pollution. The artificial might be of any source like burning fuels at refineries, street lights, head lights etc… As we now know, what actually is light pollution, lets talk about the harmful effect that they cause. The light pollution creates a great problem to the Astronomers, causes a great harm to the ecological balance. In a place called Bries Canyon if there are no lights at all, we will be able to see 75000 starts, but if we put up one street light the number of starts that can be seen reduces to 2500 stars. This clearly explains how complicated light pollution is, to the astronomers for space exploration. Same is the situation for migration of birds and ecological imbalance occurs due to light pollution. We loose sight of many Super Novas happening. We need a telescope to see them because of light pollution. We are missing many Universal happenings and phenomenon. All this doesn’t mean that we should stop using artificial lighting. We need to change the design of our light sources, so that they don’t hit the night sky. For example, we all use our cars headlights at night times. We don’t put on our high beams upward because of the fact that the other person in front of you cannot see. We should make our night lights in a similar way, then we will be able to control light pollution. Previous Post What’s MASS? Where does MASS come from? Next Post How a touch screen works?